Join us for a great day of golf at Misty Creek Country Club. 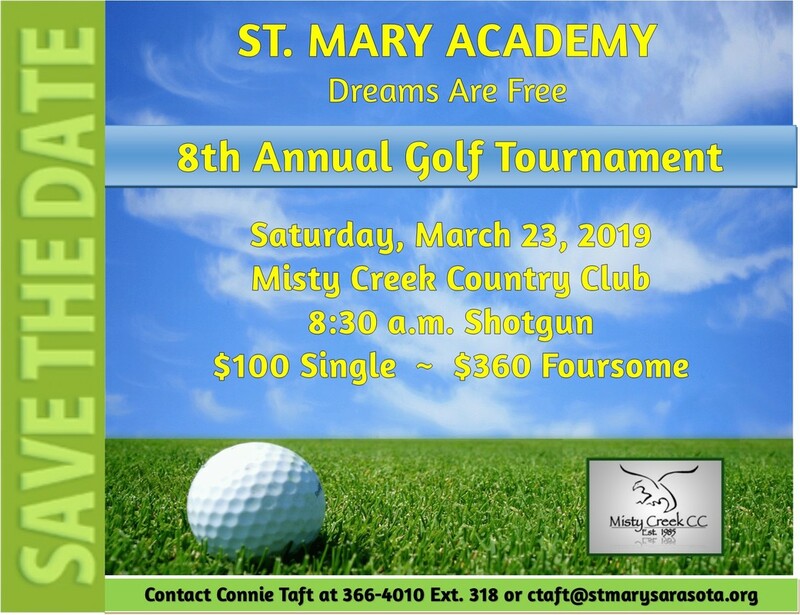 Our 8​th Annual St. Mary Academy Golf Tournament will be on Saturday, March 23, 2019. We have a scramble format and shotgun is at 8:30 a.m. This is a fun filled day with a bunch of fun people! All proceeds from this year's event will support our school's general operating budget to keep tuition affordable and be in a position to offer special assistance to those families in need of help. With the outstanding support of our St. Mary families and community, we can continue to enhance our student educational experience. 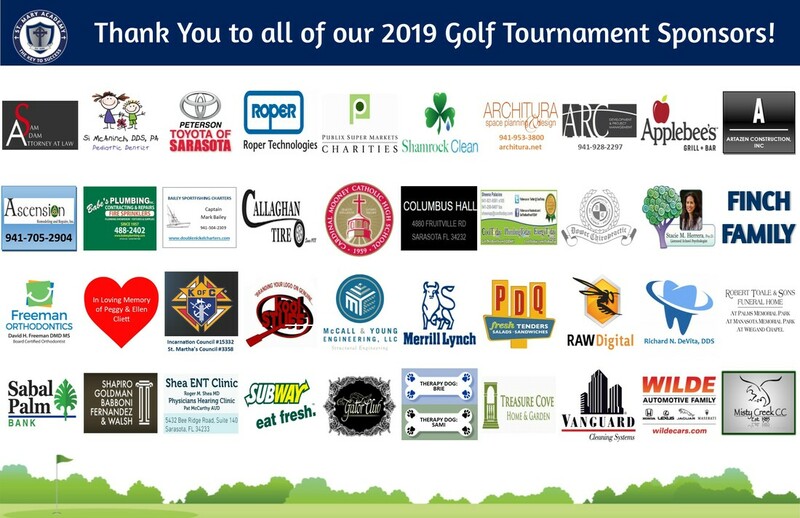 ​We hope you will join us for the 2019 St. Mary Academy Golf Tournament. Special THANK YOU to our 2018 Sponsors. We ask that you support the business that support our school. We are hopeful that you/your business will find value in investing in our students and will agree to become a Sponsor. If you have any questions, please do not hesitate to contact Connie Taft at (941) 366-4010 Ext. 318 or ctaft@stmarysarasota.org. Thank you in advance for your generosity and support.